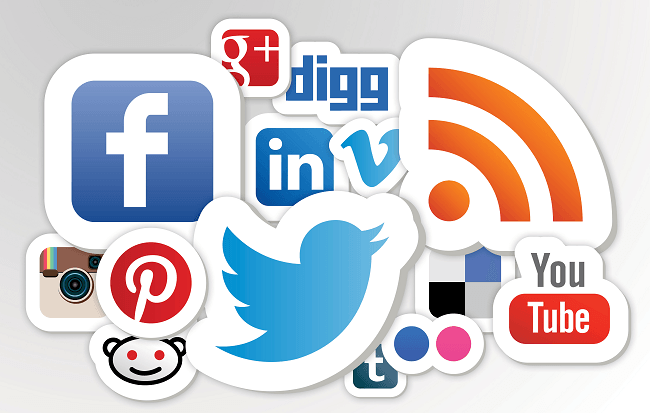 The South African Social Media Landscape 2014 report was recently released by Fuseware.net and World Wide Worx. It’s a very interesting read – check it out here. . The trends highlighted in the report depict that social media in South Africa, as with other African countries, show some different results than in our first world counterparts. Whilst first world countries are seeing a decline in Facebook usage, in South Africa Facebook has now become the biggest social network, with 9,4-million active users, up from 6,8-million users a year ago. Until recently, MxIt, a social messaging platform, has been the number one contender. It does appear though that MxIt is successfully retaining market share, even though it has fierce competitors like WhatsApp. The number of MxIt users has remained constant over the past 12 months. Perhaps most relevant, especially if we look at the technological landscape of South Africa and the barriers to entry with regards to data and technology costs, it’s no surprise that most South Africans are accessing social media platforms from mobile devices. ‘No less than 87% of Facebook users and 85% of Twitter users are accessing these tools on their phones.’ -Arthur Goldstuck, MD of technology market researchers World Wide Worx. Looking at mobile messaging applications, WhatsApp is the most popular app in the Android, Apple and Windows app stores. Pertinently, social media usage in South Africa has also become a business tool. Many business marketers are now using social media to promote brand messaging. For business, the benefit of using social media is constantly growing as it opens up a one-to-one port for connecting with potential customers and allows for marketing tactics like inbound marketing or content strategies to be implemented. But not everything is all sunshine and roses. Mobile devices have become indispensable business tools. Whilst using social media platforms in their personal capacities, corporate personnel also install business applications and access business data on their mobile devices. The danger of this is that whilst corporations are easily able to ensure that the corporate network is secured by firewalls and allied network security facilities, these corporate measures don’t always extend to smart mobile devices that aren’t always connected to the company domain. This scenario can easily lead to incidents whereby corporate data and confidential information is exposed to unauthorized people. Time wastage and allied productivity losses (in effect increasing costs) Declining customer service levels as a result if inattention and lack of focus Inefficient use of company bandwidth that may slow down network access Exposing business data to risk as hackers may access corporate data through personal social networks For more about these risks, read our recent blogs here and here. So, how do you guard against these risks whilst enjoying the corporate benefits of social media in South Africa and, at the same time, maintaining a happy, productive and customer friendly workforce? The first step is always to ensure that employment contracts include a reasonable social media usage policy. Fair policy should probably embrace acceptable access to social media during certain hours. Once the policy is in place, the most effective way to enforce the rule and control social media access is to implement a cloud-based web filtering software solution. Check that your chosen solution also allows you to allow access to comply with the policy. For example, you may have agreed to allow access to social media during lunch hours. Effective cloud office protection solutions rapidly pay for themselves through increased efficiencies and reduced risk. Cloud-based solutions enable controls to be effective 24×7 on all devices, whether or not the devices are logged onto the corporate domain or not. Furthermore, even if employees connect to a corporate network with their own mobile devices, control over social media, and other undesirable categories of websites, remains effective. Download our free guide ‘Change or renew your anti-virus solution’ here and access the datasheet for ‘cloud-based office protection’ here.